BANGKOK, THAILAND: Thailand’s Supreme Court sentenced former prime minister Yingluck Shinawatra in absentia to five years in prison on Wednesday for mismanaging a rice subsidy scheme that cost the country billions of dollars. 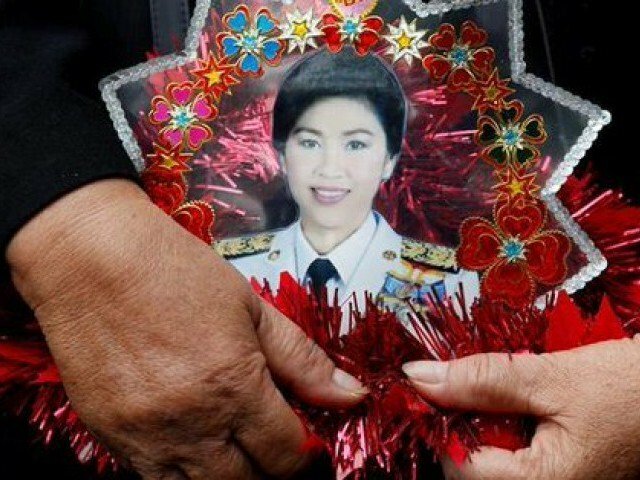 Yingluck fled abroad last month fearing that the military government, set up after a coup in 2014, would seek a harsh sentence. For more than a decade Thai politics have been dominated by a power struggle between Thailand’s traditional elite, including the army and affluent Bangkok-based upper classes, and the Shinawatra family, which includes Yingluck’s brother, former Prime Minister Thaksin Shinawatra, who was also ousted by a coup. Yingluck had faced up to 10 years in prison for negligence over the costly scheme that had helped get her elected in 2011. Yingluck had pleaded innocent and had accused the military government of political persecution. Nine judges voted unanimously to find Yingluck guilty in verdict reading that took four hours, and a warrant was issued for her arrest. The court said Yingluck knew that members of her administration had falsified government-to-government rice deals but did nothing to stop it. “The accused knew that the government-to-government rice contract was unlawful but did not prevent it …,” the Supreme Court said in a statement. “Which is a manner of seeking unlawful gains. Therefore, the action of the accused is considered negligence of duty,” it said. A former commerce minister in her government was jailed for 42 years last month for falsifying government-to-government rice deals in connection with the subsidy scheme. Norrawit Larlaeng, a lawyer for Yingluck, told reporters outside the court that an appeal was being discussed. The Shinawatras had commanded huge support by courting rural voters, helping them to win every general election since 2001, but their foes accused them of corruption and nepotism. Under the rice scheme, Yingluck’s government bought rice from farmers at above-market prices, leading to stockpiles of the grain and distorted global prices of the commodity. Losses amounted to $8 billion, the military government has said. Three members of Yingluck’s Puea Thai Party declined to comment when contacted by Reuters after the court gave its verdict. Dozens of supporters had gathered outside the court to hear the verdict on Wednesday. That was far fewer than on Aug. 25, when the court was originally scheduled to deliver its verdict, only to find out that Yingluck had fled the country. Though her whereabouts has not been disclosed by either her aides or the junta, Reuters reported last month that she had fled to Dubai where Thaksin has a home and lives in self-imposed exile to avoid a 2008 jail sentence for corruption. Neither Yingluck or Thaksin commented publicly immediately after the verdict. Nothing has been heard from Yingluck since she fled the country, and one of her lawyers, Sommai Koosap, told Reuters outside the court on Wednesday that she has not been in contact. The leader of the military junta, Prime Minister Prayuth Chan-ocha, said on Tuesday he knows where Yingluck is but would not reveal it until after the verdict is read. Thai authorities investigating how Yingluck escaped said last week they have questioned three police officers who admitted to helping her.